It’s Scout Day at The Kansas Children’s Discovery Center on Saturday, February 23 from 10 to 5. Scouts in uniform will receive $1 off admission. Meet our friends from the Topeka Gem and Mineral Society, who will be onsite with rocks, minerals, gems and fossils to explore and knowledge to share. 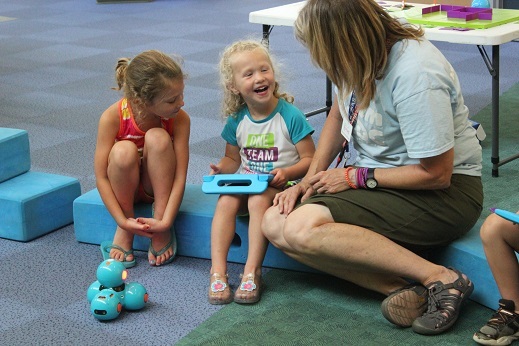 At 10:30 and 1:30, learn to code real robots Dash and Sphero SPRK. These fun, engaging robots can learn to drive, deliver messages and launch ping pong balls with the help of child programmers.